Police, firefighters, EMTs and various other public safety units who protect our communities are a valuable asset to our great state. We recognize the sacrifice and dedication of each of these individuals and their families when it comes to saving lives, preventing injuries and making our community a safer place to be. In an effort to recognize the sacrifice of fallen Draper police officer, Sergeant Derek Johnson, Geneva Rock Products was able to participate in a joint service project for his wife and son. This summer, Geneva Rock Products, Burbidge Concrete Pumping and Cornerstone Concrete worked together to create a new outdoor patio area for the Johnson home. Geneva Rock Products supplied 11 yards of concrete, Burbidge provided the pumping and Cornerstone brought in the material and placed the concrete. A local landscape company also provided finishing services for the project. 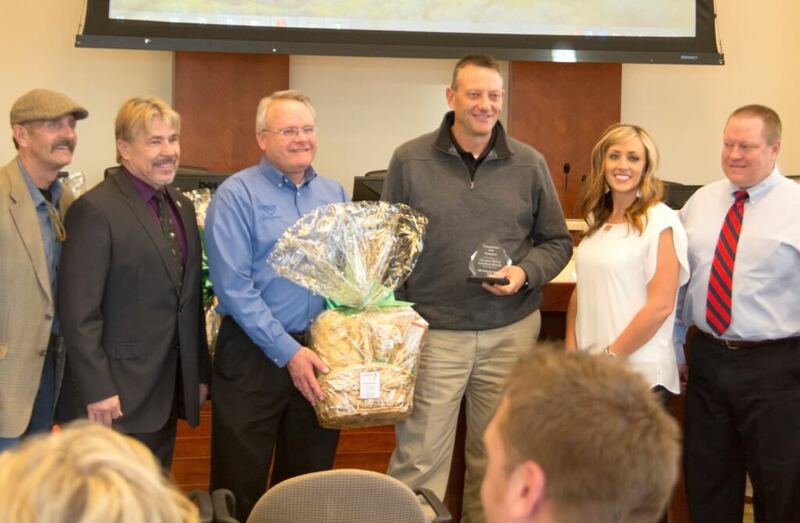 Draper City recognized the sacrifice of the Johnson family at a small event on November 18th at the Draper City Offices. Geneva Rock Products and the other business leaders who helped with the project were thanked for their service. 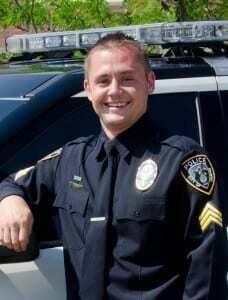 Johnson was killed in the line of duty during our routine traffic stop in September of 2013. His sacrifice for our community will always be remembered.